Scared of using foundation? We found one that's actually perfect. Most women are terrified of wearing foundation and we totally understand why. For starters, there are about a million shades and types to choose from, so some people just ditch the product completely. But what if we told you that we found a foundation that's lightweight, yet can give you enough coverage to hide all those pimple scars? Max Factor's Skin Luminizer Foundation—which comes in six shades—goes on super smooth and provides sheer coverage to give your skin a you-but-better complexion. See, most brightening bases promise they can give your face a dewy glow, but that usually means you'll just look like an oil spill by noon. This one is an exception though, since the foundation contains elastomers—which create "windows" in the skin so that light can be reflected back. The result? A lit-from-within glow that makes you look ~*flawless*~ no matter what time it is. 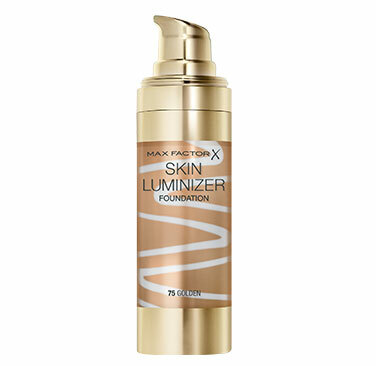 Max Factor's Skin Luminizer Foundation is available in all leading department stores and retails for P945.